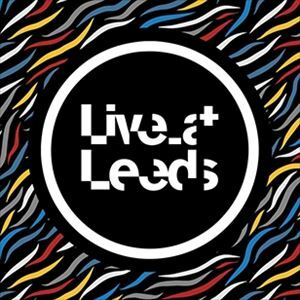 Live at Leeds provide a free companion ticket for disabled customers. Please book your ticket for Live at Leeds via Lunatickets or See tickets, and then email accessbookings@liveatleeds.com with proof of ticket purchase and details of your access requirements (to help us plan the event and facilities) to arrange a complimentary companion ticket. Tickets for the Live at Leeds all day event on Saturday 4th May 2019 must be exchanged for a festival wristband. There will be no admittance to venues without a wristband. Tickets are to be exchanged for a wristband at wristband exchange (opening time and location TBC) on Saturday 4th May 2019. The ticket holder must be present at the wristband exchange point. Under no circumstances can you collect wristbands on behalf of other ticket holders, as the wristband must be fitted by Live At Leeds staff only. Please arrive at the wristband exchange allowing plenty of time to collect a wristband before performances begin. Please note that some acts will be very popular, so we would advise you arrive at venues in good time to avoid disappointment. Wristbands allow entry to each of the participating venues, individual venue capacities permit. If the venue is already full you will not be allowed to enter. The advertised line-up may be subject to change. No refunds will be issued unless the entire event is cancelled. Tickets cannot be transferred, exchanged, refunded or returned unless the event is cancelled. No duplicate tickets will be issued for lost tickets. In order to facilitate the security, safety and comfort of all guests, all venues reserve the right to refuse admission. Admission is at the ticket holder's risk. The promoter and the individual venues shall not be held liable for any loss, injury or damage sustained within their premises. The event age restriction is 14+. Management reserve the right to check ID. Please note that there will be filming and photography taking place at this event and by purchasing a ticket you are giving consent for the use of this footage.